If you are reading this that means you may be dealing with a teething puppy and this can be a difficult period to deal with. It can also be a difficult time for your puppy as they may be confused as to why their teeth hurt. As you keep reading you will learn how to help a teething puppy that may make both of your lives simpler. Signs of teething may include drooling or spots of blood on their toys, this is natural for teething and should not cause too much concern. If this seems out of the ordinary you should seek assistance from your local vet in order to make sure your furry friend is healthy. Though it is hard to train a puppy at this stage it is possible to reinforce good chewing habits in comparison to bad ones. This is not as hard as it sounds as the puppy starts chewing make sure it is the right thing to chew. Don't punish your puppy but rather replace bad things to chew with good ones and reinforce these good behaviors. 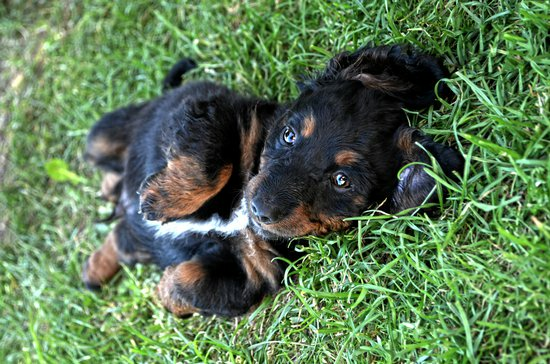 Dogs respond better to positive reinforcement training and this can carry over to even early stages of puppy life. Your dog needs to chew as it soothes the pain in their gums but with all these tips you can make the chewing less destructive and annoying. As dogs go through teething they are also learning a lot about life and one of these lessons is how to bite. These periods of a dog's life are where they learn the right from the wrongs when it comes to nipping. Puppies will play with each other when they are young and when one gets hurt they will yelp, this is a sign to the others that they either bit too hard or did something bad. 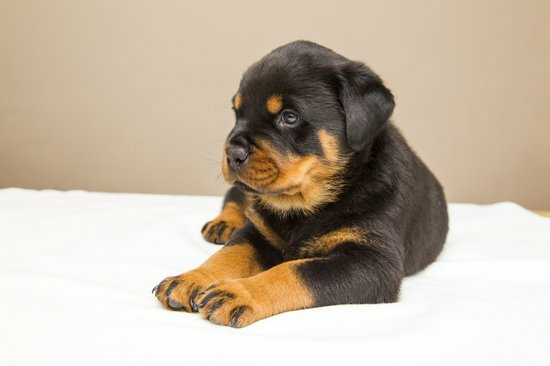 When you are playing with your young puppy it is a good idea to reinforce this, if they bite you give out an audible “Ouch” to let them know they hurt you. This will teach them not to nip as they grow into their mouths. 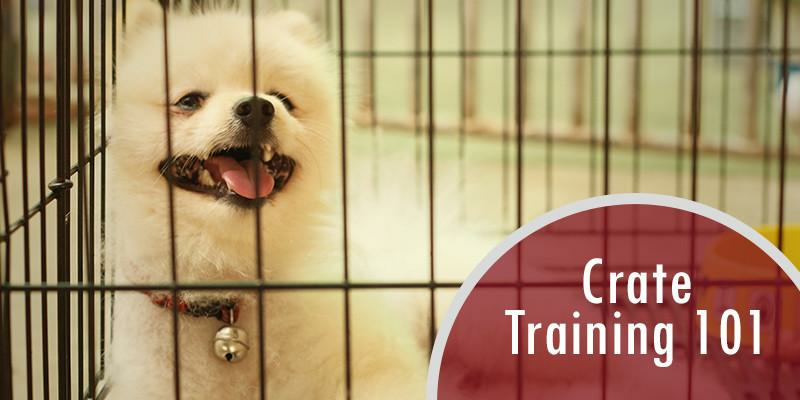 Another training tip often applied to this time period is crate training as this will help with not only teething but potty training as you are asleep or out of the house. Simply give your puppy a treat as they get into their crate and after a few hesitant times they will learn to enjoy their crate. As you do this method make sure your dog has proper comfort in the form of a bed for crates and water throughout their time in the crate to ensure healthy behavior. 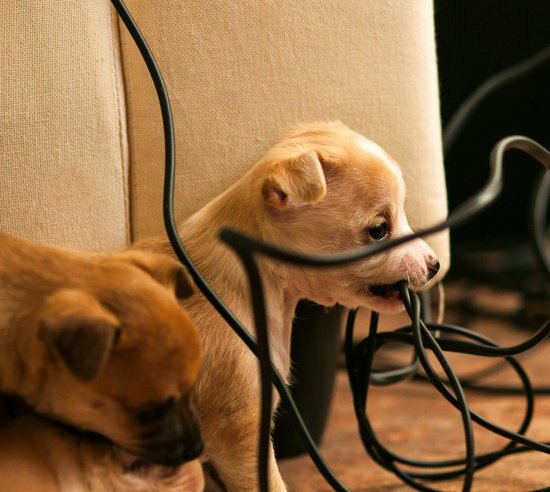 As puppies are teething they need to do so in a productive way rather than destroying furniture, technology, or any valuables. 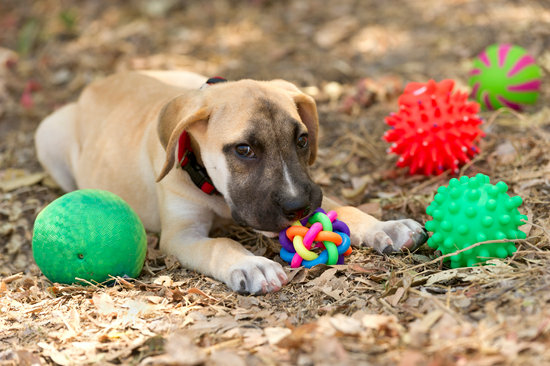 Because of this, there are plenty of toys out there that not only are tough for chewing but will help alleviate some pain for your furry friend. These toys are probably the best way on how to help a teething dog as they provide relief. The ideal toys are tough yet soothing to a dog’s sensitive mouth, rope toys are known to be a favorite among puppies along with nylon and frozen toys. If you don't have the time or money to find one of these toys for your dog try rolling up a towel like a rope, getting it wet, and freezing it. The cold yet chewy material of the frozen towel will soothe your dog's pain while giving them the proper chewing bounce back they need. Be careful though as this method could lead to your puppy's learning towels are an OK chewing toy. Frozen carrots can also be great for a teething puppy as they contain nutrients that are great for dogs and are similar to a cold chewing toy giving them relief as the chomp away. 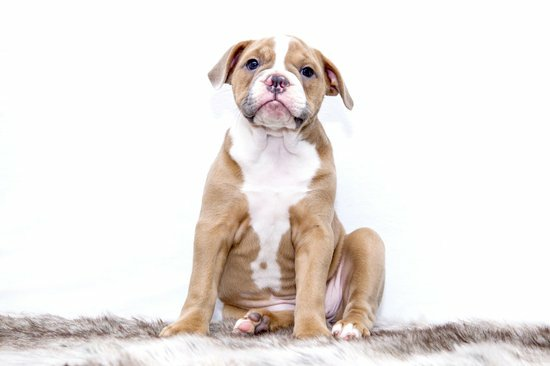 Certain supplements can also help the tooth and bones of puppies while helping them get good nutrients in their bodies. 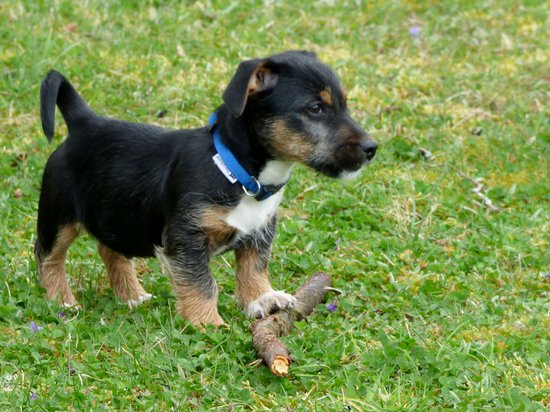 As your puppy moves past the teething stage they will hopefully know the good from the bad when they chew, ensuring they are avoiding any harmful materials to their teeth. Along with this, you should establish times where you brush your dog's teeth as it is beneficial to the health of their mouth. When you do brush their teeth make sure to get proper toothpaste for dogs as the human stuff could cause your dog to get sick if they swallow it. Another good way to promote healthy teeth is to introduce coconut oil into your furry friend's diet. 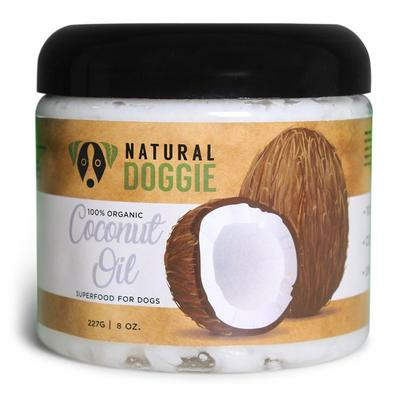 Along with a multitude of other benefits coconut oil can help the strength and health of your pet's teeth and mouth. Make sure to contact your veterinarian before any change to your dog’s diet in order to ensure they are getting everything they need. I hope this guide on how to help a teething puppy has helped even a little. 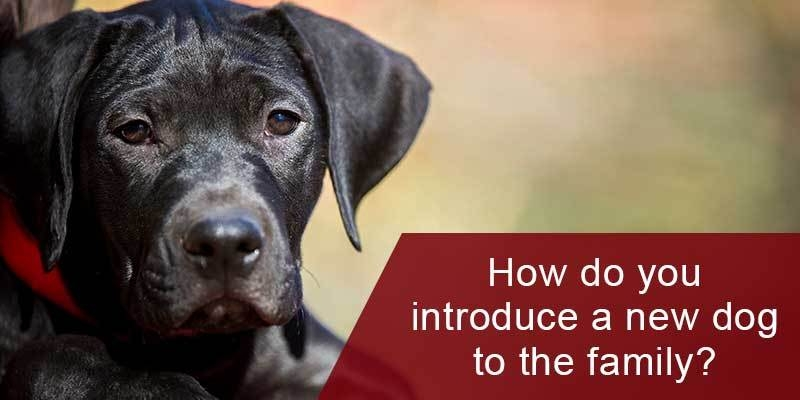 We know this period in a puppies life can be troublesome and not everyone knows how to help. If you enjoyed this or have some advice of your own feel free to leave a comment and share it with all your friends who might have teething puppies.